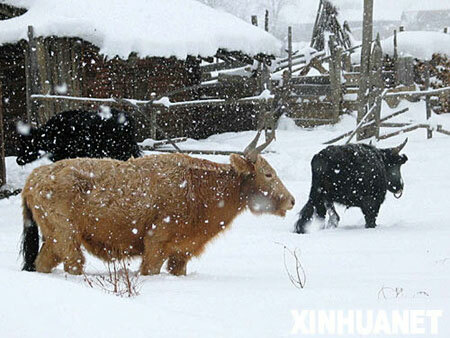 China's worst winter weather in five decades will continue over the next three days, the China Meteorological Administration (CMA) told a news conference Wednesday. 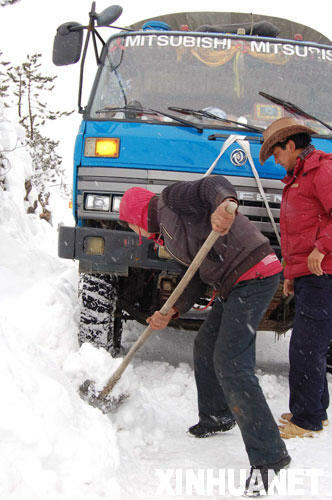 Heavy snow hit Diqing, Yunnan Province, on January 29, 2008. 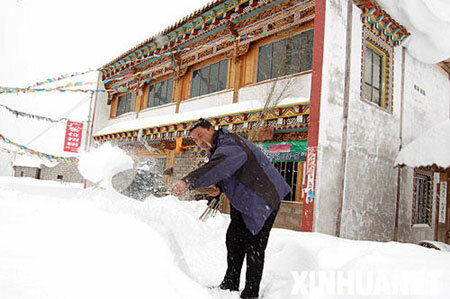 The heavy snow and sleet has paralyzed transport and coal shipments, and led to travelers cramming railways stations and airports and power supply reductions in almost half of the 31 provinces and regions on the Chinese mainland. The havoc was chiefly caused by the long-lasting sleet, which resulted from warm and cold air currents clashing over south China, said CMA spokesperson Jiao Haiyan. The CMA was advising people in affected areas to stay home and reduce energy consumption during the holiday period of the Chinese Lunar New Year, or Spring Festival, she said. Over the next 10 days, southwestern, eastern and southern China will embrace more snow and sleet with freezing temperatures while northern China will stay clear but windy, according to the CMA. The snow struck as tens of millions of Chinese began to head home to celebrate the major Chinese holiday starting Feb. 7 this year, straining rail, air and road transport services as well as shipping.